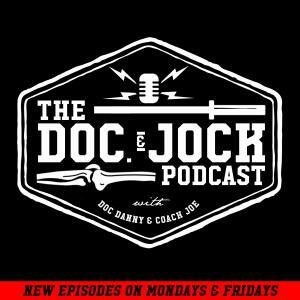 On Episode 166 of the Doc and Jock Podcast we sit down with Dr. Allison Brager PhD to talk about optimizing your sleep routine for better performance. If you aren't familiar with Allison Brager is a Neuroscientist & Biomedical Researcher for the U.S. Army. She is the author of Meathead: Unraveling the Athletic Brain as well as CrossFit games Athlete. On this we are talking about SLEEP and how in can positively or negatively affect your performance and just life in general. On the podcast Allison gives us 3 keys for optimizing our sleep routine. We hope you use these gang. If you do let us know how they help via an iTunes review.